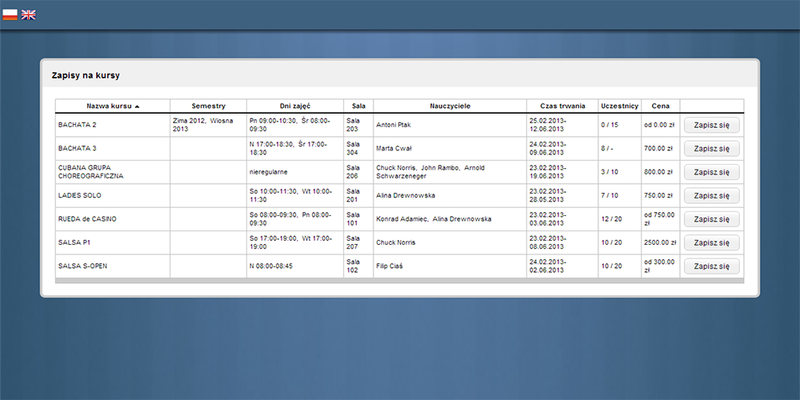 Schoolmanager.pl is a user-friendly, safe and economical tool which will help you organize your school’s activities. Thanks to SchoolManager you will gain flexibility, save time and save money. Test SchoolManager.pl for 30 days for free. dance schools and all other educational institutions. An intuitive user interface makes using SchoolManager.pl as easy as browsing a website. You won’t need any training in order to get started! We are here for you and would be happy to assist you with even the smallest problem. Just drop us an e-mail. Technical support is included in your subscription. Your data are stored in a secure database which is regularly backed up. All communication between your computer and the application takes place via an encrypted SSL connection, the same standard used in online banking systems. You can access your data from anywhere in the world, at any time. The only thing you need is a web browser. Access SchoolManager from unlimited locations. At work, at home or on the go. And never pay extra. We are continuously developing and enhancing the application, as well as enriching it with new modules. All updates are free of charge and are available immediately upon publication. You will not be required to install anything! 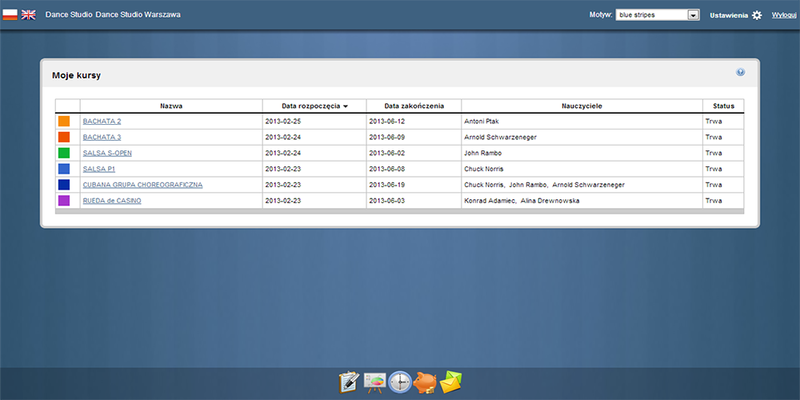 Each time you use SchoolManager.pl you get the latest version. 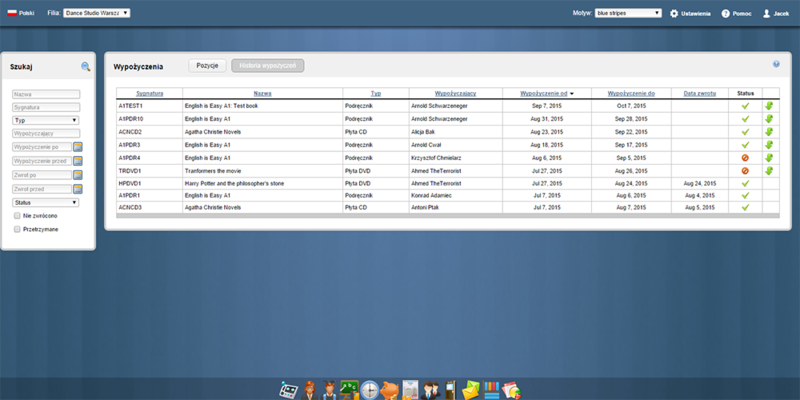 Unlike traditional programs, SchoolManager.pl does not require installation on the user’s PC. It is compatible with every operating system (Mac, Windows, Linux and mobile devices). All you need is a web browser and access to the Internet. All of your school’s data are organized and easily accessible. Export and import from Excel, confidentially communicate between your students, teachers and administrators, and maintain secure records for an optimal balance of transparency and privacy. Most school management programs require you to pay in advance without any guarantee of satisfaction. 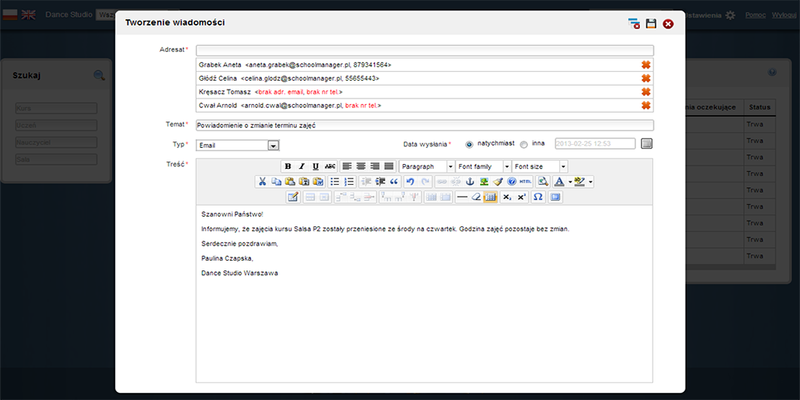 SchoolManager.pl is different. Start with a no obligation monthly subscription and stop any time. No questions asked. Why is it worth choosing an online application? Using the program does not require you to download software or install anything. All you need is a web browser and Internet connection. With online access you are not tied to a specific workplace. You can manage your school from anywhere in the world using a desktop computer, laptop, tablet or mobile phone. Plan classes, supervise students and teachers, check payments, issue invoices - all features are available wherever you are. SchoolManager.pl is ideal for language schools, dance schools and all other educational institutions for whom mobility is important. Of course. All communication between your computer and the application takes place via an encrypted SSL connection, the same standard used in online banking systems. All system data are stored in a database that is regularly backed up. Thus, your data are more secure than with locally stored software. You don’t have to worry about viruses or hardware failures. 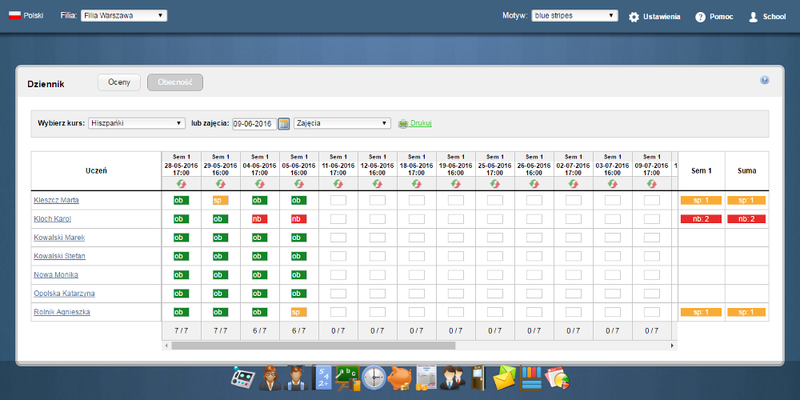 Never worry about unpleasant surprises, simply switch devices and continue to work with SchoolManager.pl without delay. 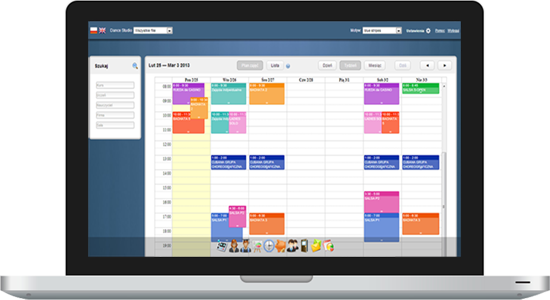 SchoolManager.pl, or "making your life easier"
SchoolManager helps you organize the activity of your school. It stores information about courses, students and teachers and helps organize payments for classes. It allows students to sign up for courses over the internet and facilitates communication with teachers. Plan your classes using a graphic tool which will help you assign rooms and teachers for particular classes. Organize courses, manage classes covered by each course, register students and add teachers. Conduct instant searches for information about your students. Follow their progress and history of class participation. 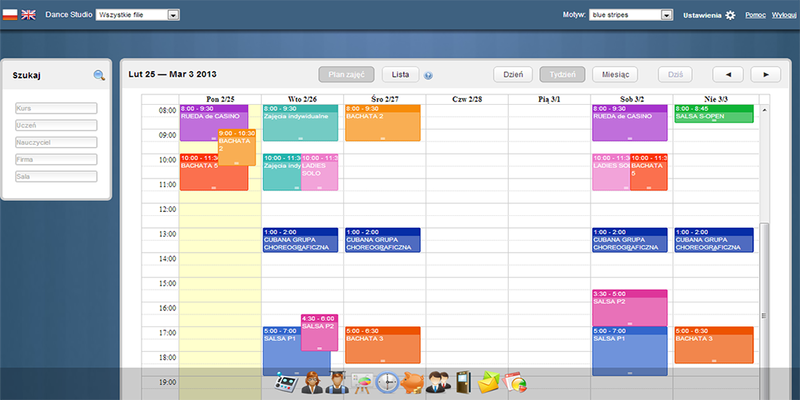 Assign teachers to classes, organize their schedules and monitor the number of hours worked. Check class attendance of students using built-in grade book. Award grades, assign them description and weights. The program will automatically suggest final grades. Define various class fees. Easily track the payment status of particular students and companies cooperating with your school. 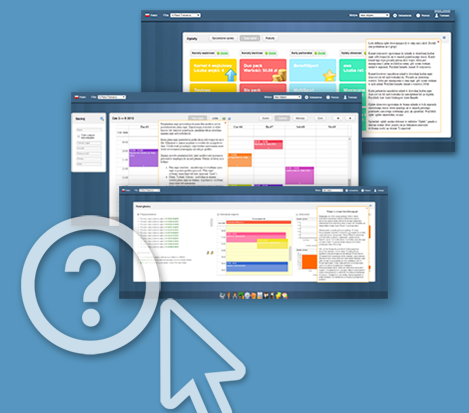 Use transparent reports to monitor changing trends and the situation of your school. Review class popularity and teachers’ assignments. Send e-mail notifications to students and teachers. Inform your customers about services offered by your school. Issue invoices and receipts for companies and individual customers using services of your school. Monitor payment deadlines. Create special accounts for your students and teachers. This will make it easier for them to check current timetables, allow them to communicate and share learning materials. Give your students the opportunity to register for courses via the Internet. This means more convenience for them and less work for you. Use Schoolmanager.pl to run the library of your school. Borrow books and other items eg. CDs, movies etc. to students and teachers, allow them to make online bookings, control return dates. In order to simplify the use of SchoolManager.pl we have created a tutorial that will accompany you during the first steps in the application. It will explain the use of each function and clarify any doubts about the content of individual pages and forms. Tips will appear automatically when you first visit the page. You may also display them at any time by clicking the question mark icon. Because of that you don’t need to read any instructions or undergo training to start working with the program. Help is always at hand! Here are some of our clients. You can get to know them by clicking their logo. 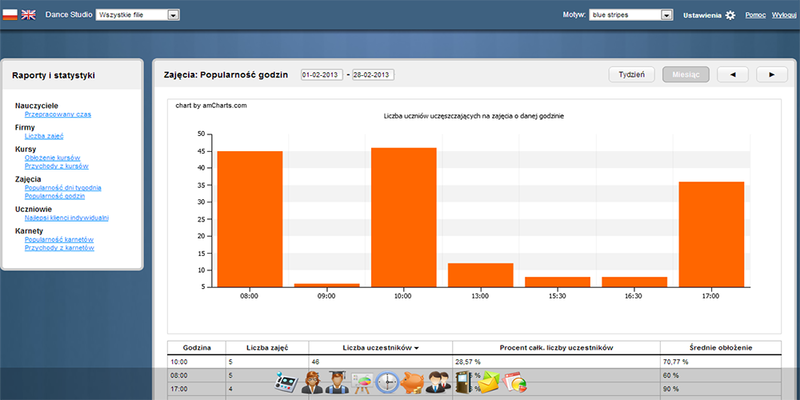 Join schools using SchoolManager.pl and see how much easier it is to manage your school! What it looks like in action? Short video will guide you through the basic functions of SchoolManager.pl. If you want to learn more about our program, please contact us and we will arrange a remote presentation via Skype. We will show you the full potential of the application and answer all your questions. Select a subscription option that best fits the needs of your school. “Standard” allows you to efficiently manage school administration. “Premium” includes special accounts for your students and teachers making it easier for them to check their timetables, class attendance and evaluation, and enabling them to communicate with each other through the program. “Ultimate” is the perfect solution for networks of schools which have several subsidiaries. Try the Premium version for 30 days for free! The above prices are stated without VAT tax (23%). Subscription fees are charged separately for each school subsidiary using the program (does not apply to “Ultimate”).